Welcome to Nemaco Technology's reference section that provides info for many types of aluminum & stainless steel NEMA 4X enclosure designs. Nemaco has dedicated a technical section for each type of enclosure including the NEMA 4X enclosure. This technical reference section is about the type NEMA 4X boxes (i.e., junction & pull boxes), NEMA 4X enclosures and NEMA 4X cabinets (both in wall mount & floor mount configurations), you will find detailed information for the NEMA 4X ratings & defintions. 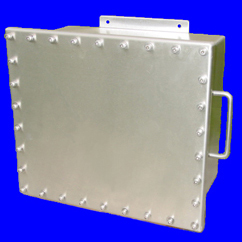 Nemaco Technology has provided a samples of NEMA 4X enclosures in this section. Also and whenever possible we will provide internal and external photo images of the enclosures. You can call Nemaco for additional information if needed so you can find the correct NEMA 4X enclosure for your industrial, commercial or military application. Enjoy the material about NEMA 4X enclosures that we have prepared for you, and if you have any questions, please call Nemaco by telephone or complete our contact form. All enclosures, boxes and cabinets are available with lexan window (options). Definition: intended for indoor and outdoor use primarily to provide a degree of protection against direct spray of water on the enclosure surface. Nemaco Notes: Usually, NEMA 4X enclosures, boxes and cabinets tend to be more expensive than most other NEMA 4 enclosures due to the cost of (304, 316) stainless steel materials that contain nickel and chrome for corrosion protection. But the NEMA 4X enclosures, boxes and cabinets offer greater durability and corrosion than the NEMA 4 enclosure (carbon steel and plastic) enclosures. A typical example of NEMA 4X enclosure would be a metal box used for electrical controls in a lab or any indoor environment that is dry and there is no dripping pipes and rain. 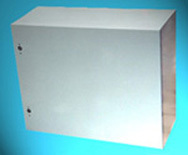 NEMA 4X Enclosures are typically lower cost enclosures made from sheet metal or plastic. So basically it is box the keeps electrical wired away from humans but it does not necessary have any protection against dust, dirt, oil, water, any other fluid. Corrosion is the natural degradation of a material due to atmospheric conditions or other factors. Corrosion is generally defined as dissolution of a material due to a reaction with the surrounding environment. Only metals such as gold and platinum are found in a pure form, normal metals only exist combined with other elements. Corrosion is therefore a natural phenomenon, as nature seeks to combine elements which man has produced in a pure form. More specific: iron occurs naturally as iron ore (FE) wants to combine with oxygen molecules from the air and water and then it will "rust". Carbon steels without any protection will therefore form a coating of rust, which will in a sense protect the rest of the steel and constantly removing the rust exposes a new fresh layer of steel to be chemical decompostion. The corrosion resistance of a stainless steel is dependent on a thin invisible film on the steel surface, the passive film. There are, however, environments that cause permanent breakdown of the passive layer. Under circumstances where the passive layer cannot be rebuilt, corrosion occurs on the unprotected surface. Different media can cause different types of corrosion attack that may vary in nature and appearance, and several forms of corrosion can occur on stainless steels. The stainless steel composition can be damaged by welding or some forms of metal fabrication. To ensure the NEMA 4X stainless steel boxes, enclosures & cabinets have high corrosion resistance to chemicals and salt water, it is sometimes necessary to passivate the NEMA 4X enclosures that might have contamination from ferros materials. Since most of the Nemaco Technology's type NEMA 4X enclosure are carefully crafted by using almost entirely using stainless tools (an no carbon steel tools whenever possible) there should be no ferros contamination in the NEMA 4X enclosures. Nemaco Technology offers stainless steel passivation for NEMA 4X boxes, enclosures & cabinets when it might seem necessary for some customers. Call or send Nemaco if you have any questions about your particular NEMA 4X boxes, enclosures or cabinets application. Applications: Nemaco can offer a NEMA 1 enclosures, boxes and cabinets for your application. NEMA 1 industrial enclosures are typically used for protecting controls and terminations from objects and personnel. This style of enclosure, while offering a latching door, does not have a gasketed sealing surface. NEMA 1 enclosures are used in applications where sealing out dust, oil, and water is not required. Motor start/stop stations are often housed in NEMA 1 enclosures. Usually, a low cost enclosure but suitable for clean and dry environments. 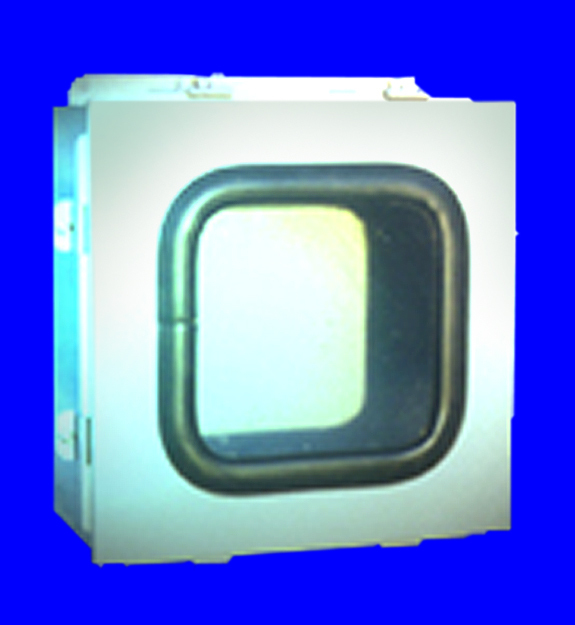 Custom Tigerbox™ enclosures are available for electronics applications. Applications: NEMA 2 industrial enclosures are typically used for protecting controls and terminations from objects and personnel. These enclosures & cabinets, while offering a latching door, does not have a gasketed sealing surface. NEMA 2 enclosures are used in applications where sealing out dust, oil, and water is not required. Motor start/stop stations are sometimes housed in NEMA 2 enclosures. This is a low cost enclosure also. Custom Tigerbox™ enclosures are available for your electronics applications. Applications: NEMA 12 enclosures and cabinets are designed to prevent the ingress of dust, water, and oil. NEMA 12 enclosures are most often used for indoor applications of automation control and electronic drives systems. Some examples are packaging, material handling, non-corrosive process control, and manufacturing applications. Gasketed doors seal the enclosure's contents from airborne contaminants and non-pressurized water and oil. Call Nemaco for NEMA 4X enclosures, boxes and cabinets and other custom stainless steel enclosure for your company projects.